Our Premium Three Butter Plus Melt and Pour Soap Base is opaque and white in color. It contains Shea butter, cocoa butter, and mango butter…all of which are thought to benefit dry skin. The two-pound tray is the perfect size container for projects making (8) 4 oz. bars of soap. 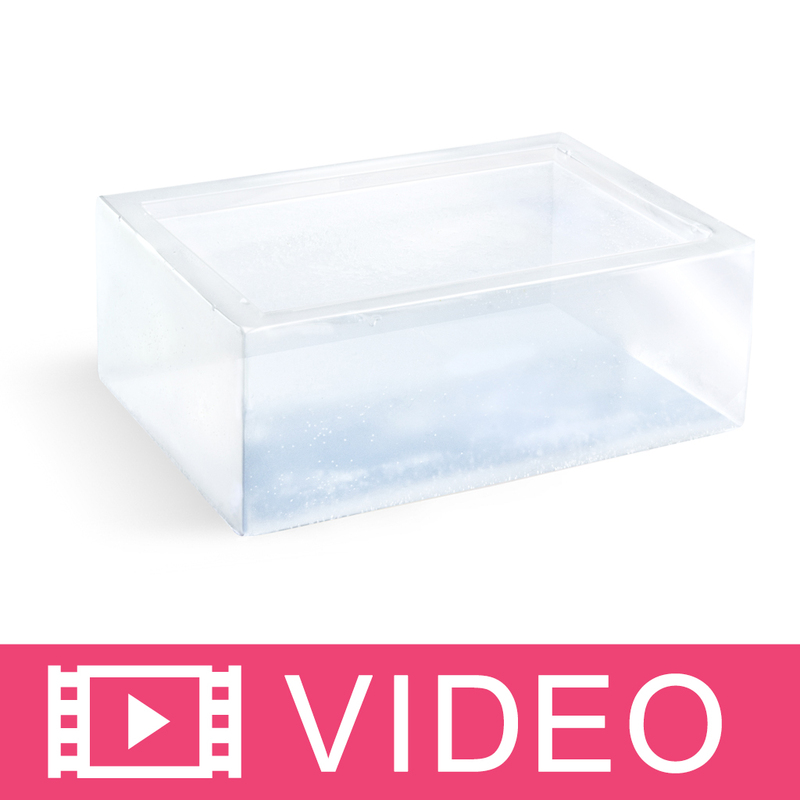 The lid allows for unused soap to easily be stored for future use. Package: 2 lb Tray Melt Point: 120º F.
Sorbitol, Propylene Glycol, Sodium Stearate, Sodium Laureth Sulfate, Sodium Myristate, Sodium Laurate, Butyrospermum Parkii (Shea) Seed Butter, Theobroma Cacao (Cocoa) Seed Butter, Mangifera Indica (Mango) Seed Butter, Titanium Dioxide. Sorbitol, Propylene Glycol, Sodium Laureth Sulfate, Stearic Acid, Water, Sodium Hydroxide, Myristic Acid, Lauric Acid, Shea Butter, Coca Butter, Mango Butter, Titanium Dioxide. COMMENTS: First time using this and I am so impressed by the quality of this soap. Melts beautifully. Holds FO quite well. It was wonderful to work with and I couldn’t wait to see the results. Formed nice, hard bars. Low sweat. Everyone loves this soap. Rich, creamy lather and truly moisturizing. I didn’t notice any film as my sensitive skin would itch like mad if there was a film left after rinsing. This is a winner. "Sold out immediately! Customers love this blend. " COMMENTS: Very good blend. Very nourishing without being greasy. Holds scent well. COMMENTS: This soap base has made my soaps so moisturizing, yet has great lather. It's my go to now. "My Customers loved this Soap"
COMMENTS: I purchased this in a pinch. My customers loved this three butter soap base so much, that I sold out! 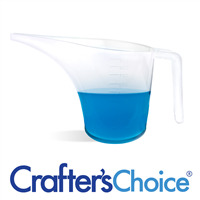 This is a great price and great quality melt and pour base. I will be purchasing this again! COMMENTS: Nice quality melt and pour soap. Use this often with no disappointment. COMMENTS: Very moisturizing soap. Perfect! COMMENTS: Great Soap Base with creamy lather. COMMENTS: this is a favorite in my charcoal layer soaps. produces hard bars that are non drying. love it. I love that all the bases are packaged nicely and squared off as well. pretty accurate for measuring by cutting without having to weigh out. COMMENTS: My customers love this soap!! with the actual butter added to this base is pure joy. I love the creamy lather is give off. I will keep coming back for more! "premium 3 butter plus base"
COMMENTS: This melt and pour base is so creamy and moisturizing. I absolutely love it. It is a white base that has worked extremely well for me when I need a white soap. No titanium dioxide is needed. I will definitely order again. "It is good, but may need more moisture"
COMMENTS: I used this one as is, and while it came out really good, this one also made my skin feel a little dry. It's a great base though, so I would suggest adding some extra moisture and you'll be good to go! COMMENTS: I like that I don't have to add any butters and the clean white color. Also like the ease of use. Never dried out. COMMENTS: I love this soap base. I made MP and I am happy with the amount of lather and luxurious feel of this soap base in the shower. COMMENTS: I love the combination of these 3 butters in this base. They are all moisturizing and the smell is awesome. Great for dry skin ! COMMENTS: Love working with it and love the feedback we get from it! My absolute favorite base EVER!!
" Premium Three Butter Plus Soap Base - 2 lb Tray"
"Premium Three Butter Plus Soap Base - 2 lb Tray "
COMMENTS: This was one the best melt & pour soaps. COMMENTS: Love all the M&P Bases I purchased from WSP. Did not had any problem at all. COMMENTS: First time using mp soap. It was easy. Melts super smooth and pours well. I made salt bars. COMMENTS: I am very happy with this soap base! So easy to work with! Feels AMAZING! "Three butters Plus soap base"
"The name says for itself." COMMENTS: Three butters-what could be better for a soap base? I love it! COMMENTS: Love this base! Melts really well and has a nice creamy lather. COMMENTS: This base is so great for winter time skin. I used it with a vanilla scent and it is just heaven in the shower! Sells like crazy!! "Love the combination of butters!" COMMENTS: It melts easy and is easy to use. Nice feel to the soap. Would buy again. COMMENTS: I have very dry skin and this soap leaves my skin soft ans silky. It is very moisturizing and I highly recommend it. COMMENTS: I love it! Its so soft to the skin and so easy to mold and unmold that you dont even have to wait to long for try it by your own. COMMENTS: This is one of my favorites. 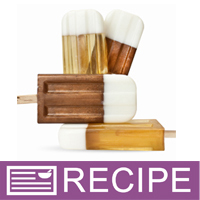 It melts easily, it has a rich and creamy texture when using it. I love the three butter blend with a touch of real honey added its one to die for. Everything I have mixed with it has been great, no discoloring and lathers very well. COMMENTS: This is an easy to use product. The soap itself leaves your skin feeling very soft and silky. It was easy to add extra oils, scents, etc. to produced a nice looking bar. With good results at my first attempt at soap making, I would highly recommend this product to anyone. COMMENTS: This base is easy to work with and makes a beautiful finished product. 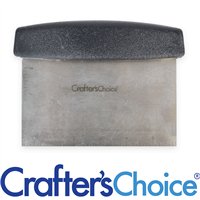 "Crafters Signature Three Butter Plus Soap Base-"
COMMENTS: Love this melt and pour base that is creamy and moisture enriched. I find it leaves a oilier texture ( because of the butters, and I'm using the correct amount of fragrance) when done. If I want a firmer soap I just combine 2 different soap bases. It takes fragrance and color well. "Signature Three Butter Plus Soap Base"
COMMENTS: This is a good base to use. However, I find that it doesn't harden up as well as the other soap bases that I've purchased from you. It tends to stay softer and gives me the impression that it will melt more easily during the warm weather when temperatures hit around 78 or higher degrees. Maybe it's because it does have all three of the butters (Mango, Cocoa, & Shea) as ingredients. I do buy it and will continue to do so, but not in the larger quantities of the other soap bases that I buy. • Would like a firmer bar of soap. COMMENTS: New to soap making. This is amazing. So fun to be creative. I'm glad I ran across this website. Quick delivery too. Would highly recommend it. COMMENTS: This is one of my favorite bases. Soap I make using this is so creamy, lathers well and my customers love it! Please never change this product as I will always have to order this. COMMENTS: I love working with all Crafter's Choice bases. This one is no exception. Love it! "Formula changed? Three butter M&P base"
COMMENTS: I use and have used this base exclusively for any white portion of my M&P projects for years. I have always been very pleased with the quality of this base. I did notice a slight difference in the very last 2lb unit I used, though. ( I am big on lather, and lots of it, in my bar soap... I add specific ingredients to my M&P batches to increase the lather...again, I've always been happy with this base.) the bars I created with the last unit were created the same way I've been creating M&P projects for years, but the lather is much more of a "creamy foam" than the large bubble lather I usually see with this base. Not sure if there has been some tweak in the formulation of the base, or if something else caused this. I will continue to use this as my staple base for M&P projects. High quality that I can feel confident placing my brand on. 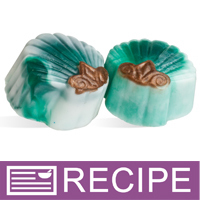 COMMENTS: This was a nice creamy soap base, which held color and fragrance well. I found it to be very moisturizing. "First time making soap! " COMMENTS: I ordered a "regular" glycerin base in clear and white and this as well to make my first few batches of soap and now this is my go-to or ANY bars I will be making. I used a cinnamon apple scent to keep it seasonal, and I am not disappointed in the least. My boyfriend has used this since I made it over a week ago, even replacing his own bar we got from the store! (That really made me happy haha) This triple butter combo makes my skin feel absolutely amazing. No film is left behind and it doesn't make my skin feel super sticky like some moisturizing soaps can. The lather is great and works well, even if you use just a tiny bit of water. It doesn't have an odor of its own, so it holds scent really well and so far, the color hasn't had any migration (used color blocks/bar). I am so so so happy with this product. In fact... I have a big block of it arriving tomorrow to make a huge batch for a fall festival and I cannot wait! COMMENTS: Nice soap base. Like all the crafters choice bases, very easy to use. COMMENTS: Very nice base, I love all the added butters, and the color is nice and very white! COMMENTS: Big seller for us, out customers love this base. COMMENTS: This blends so nice with fragrance and nourishes the skin so well. COMMENTS: Awesome soap base, Great product. Melts well, evenly. Pours well. No glopping. Will use this product again and do recommend it. COMMENTS: I was looking for a shea butter base, but it was out of stock so I opted for this since I needed to make sure the soap would have time to set. This was a pleasant surprise for my soap bars. It's a great moisturizing and left our skin nice and smooth. I may end up still going with a shea base because I can pick up on the mango butter easily but it still holds scents very well and is easy to work with. COMMENTS: This type of soap seems to melt faster in the microwave. I like it because I can easily melt big quantities faster. COMMENTS: I personally love this base. Is super creamy and easy to work with. Lather and bubbles are good, it takes a little longer than other bases to cool down but it is a "must have." 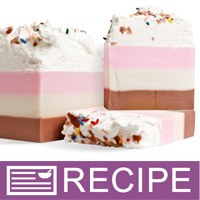 COMMENTS: I made this for a soap to use in the shower and I feel it leaves my skin feeling soft and smooth. COMMENTS: This is a great soap base. Melts nicely, makes smooth bubbles; feels good on your skin. 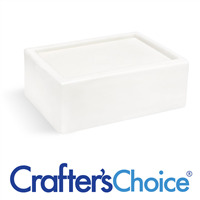 "Crafters Choice™ Signature Three Butter Plus Soap "
COMMENTS: I was impressed by the reviews of this product on this website and have been trying different soap bases to see which ones I want to use in my line (I didn't know WSP was going to make it so darn hard to choose!). This worked beautifully as the base for the Lavender Love MP Soap here at WSP and produced a high-quality experience for those who've used it. They said it lathers beautifully and leaves their skin moisturized and nourished with a scent that lasts throughout the day. I've already reordered and am ready to do so again. You can't go wrong with this one. COMMENTS: The most creamiest soap base I have ever used. 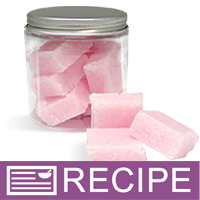 I use it for my luffa soap and customers absolutely love it! COMMENTS: It's easy to work with and great on the skin ! COMMENTS: This was a good base but think I still prefer the goat milk. This is a good base for a really dry itchy skin or for skin conditions. COMMENTS: Love this blend of MP Soap. Nice lather and creaminess. COMMENTS: Very nice soap base. Easy to work with. Great lather and very moisturizing. Will buy again! COMMENTS: I usually have problems with mp sweating but this one is a keeper for me. No issues just lovely textured soaps. "Love this M&P Soap Base"
COMMENTS: I have a Customer that requested a soap for severely dry skin and I used this base and it was a hit. I got another order from her within 2 weeks. It lathers really well and leaves skin feeling clean and moisturized without feeling oily like some soaps can. I will be using this base more often. • Lathers great and Moisturizes well!! COMMENTS: Love it. Rich & creamy. Will buy again. COMMENTS: I use this as my standard white soap. It is nice enough to cut a chunk off the large block and use it as is. "leaves your skin amazingly soft"
COMMENTS: this is a great base. 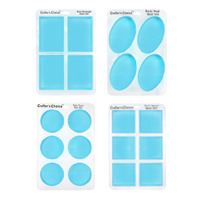 i use it for my soap cupcake frosting and it makes such a difference. the texture is creamy and the color is very white for a base with added butters. love this soap! "Love this three butter soap base." COMMENTS: It leaves your skin so soft and is by far one of my best selling items!! COMMENTS: This is a great base. The soap is very moisturizing and lathers better than expected. Takes colors and fragrance very well. COMMENTS: This was a nice, moisturizing formula, but I honestly could not tell a whole lot of difference between it and the detergent free. COMMENTS: I like this a lot better than Goats Milk Soap or Shea Soap. It is not slippery or sticky or tacky to the touch and it's super moisturizing to the skin. A new favorite. COMMENTS: Small quantities are added to facial bars, creamy bars, & oatmeal bars for dry, or sensitive skin. Leaves your skin feeling pampered. 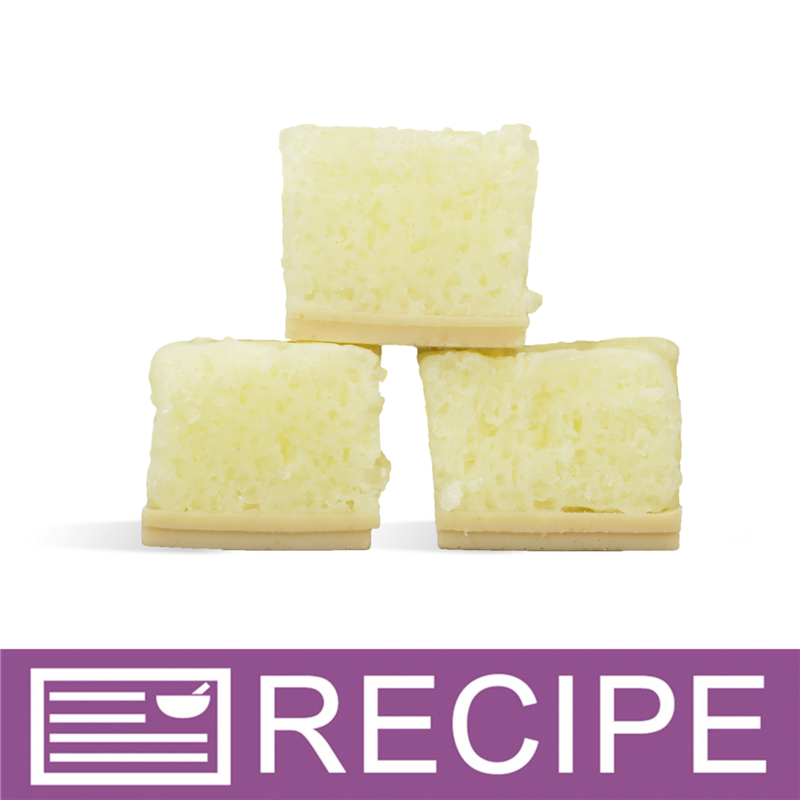 "Three Butter Plus Soap Base"
COMMENTS: The Three Butters Soap Base is a pure joy to work so very easy. I love the idea of having all of the butters in one tray. The soap is so silky soft and rinses off completely. "Leaves your skin wonderfully soft! " COMMENTS: This M&P is definitely a keeper. I decided to use slightly less of the fragrance than suggested & they came out perfect. COMMENTS: This base works so well, and turns into a wonderful product. The final soap makes skin so soft and moisturized, but doesn't have that tacky, gooey feeling that I have experienced in the past. It melts very easily and takes color well too. COMMENTS: As soon as this arrived, I had a regret - I regret that I didn't order more! This is a wonderful, pure white soap base. This will be my new standard base. Five stars! "Three Butters plus MP soap base"
COMMENTS: This is a customer favorite! My customers always comment on how silky and soft their skin feels when using this soap! This one is a keeper! "Mixes good with other soaps." COMMENTS: I mix some of the three butter base in with my goat milk soap to add a extra creamy feel. COMMENTS: At first I was skeptical since I always use the Goats Milk base, however, I actually enjoyed the 3 butters base. Creamy when combined with the right oils and powders :) Love it! And Im sure my customers will love it too! COMMENTS: This soap leaves your skin SO SOFT!!! This is my favorite soap to use because it makes such a nice bar of soap. It moisturizes your skin and leaves you oh so soft. 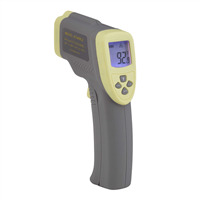 It is also easy to use and gives reliable results. COMMENTS: This soap is very nice. It holds color and fragrance very well. It has a rich lather and does not dry the skin. My sister has very sensitive skin and she was able to use this without any problems. I substituted this in the mechanics scrub recipe and used peppermint oil to make a foot scrub and it turned out very well. I will definitely purchase this again. "Feels great on the skin"
COMMENTS: My customers and myself love this soap! I will be buying more! COMMENTS: I use the Three Butter Plus with EO, or EO & FO blends to create "spa" scents. They're always a great seller! COMMENTS: I love this better then the detergent free soap. Its whiter, lathers better, and does not shrink as much!! "Three Butter Soap is a favorite!" COMMENTS: Love the way this feels on my skin. Best seller in my orders placed. "Do the Premium vases contain SLS or SLSA? And is it used in all Crafters Choice MP soap based?" "How can I put oatmeal in my soaps without it sinking to the bottom. " Staff Answer Oatmeal will naturally sink since it is heavier than the liquid soap. You can let your soap thicken up a little after adding the oatmeal. Then stir before pouring. This can help suspend the oatmeal in the soap but some will fall to the bottom. "In the description it says that this soap is coconut oil based but coconut oil is not listed as an ingredient, but coconut oil is listed on the detergent free three butter soap and the premium is the same has the detergent free only it has detergent in it as a cleaning agent right? Is this an error or is it under a different name? Also we love this soap, it is the best. Thank You. " Staff Answer In the Premium Base, sodium laureth sulfate is an added detergent made from coconut oil. In the Detergent Free soap base, coconut oil is used as the lathering agent. And, thank you - we are so glad you love our soap! "What is the difference between the signature soap and the detergent free, as far as benefits, ingredients, etc. " Detergent free soaps do not contain sls (provides more lather). So if you are wanting a more natural soap detergent free is the way to go. Some people say the detergent free soaps do not lather as well, but I think there isn't much difference. It is just a matter of preference. "Does wrapping this soap help with sweating? How soon after cooling should it be wrapped? " I shrink wrap my bars after letting them sit for 24-48 hours after unmolding (although sometimes even sooner than that) and have had no problems with sweating, even in a hot and humid climate. I let my M&P bars harden for a day or so. I find that it helps them last longer. I have not noticed any loss of scent because of it. I still had an issue with sweating with DF M&P soap, I now run a dehumidifier in the room I soap in and package my soaps within 48 hours. Also do not over heat or freeze your soaps. I let my soap cool overnight and if in a warm climate or in the summer I will put it in the fridge overnight. With the coconut milk base I have had NO sweat from any of the bars after I made it and let it cool this way and did not wrap it. Staff Answer In some extreme conditions it may still sweat. For example, if you live in a tropical weather climate or if you have a highly air conditioned store with humidity added. Yes! We use the WSP shrink wrap bags and then box our bars for a great presentation. We usually unmold, cut, and wrap our bars the following day after they are poured. I was 24-48 hours after unmolding to wrap them up. That way they are completely cool. Wrapping definitely helps. The sweating is due to the glycerin interacting with humidity in the air. If you want to be certain your soaps won't sweat, then you must wrap them. Plastic wrap works great! I usually unmold the soaps and wait for them to cool. I usually leave them overnight and have no problem. "What packaging do you sell and recommend for the Signature Three Butter Soap? I saw in the directions it stated it should be wrapped in an airtight wrap. Thanks." Staff Answer We recommend simply wrapping with an inexpensive plastic wrap. It can be wrapped tightly and a label placed on the back to cover any excess. This way you can see the entire bar and still smell the soap inside. "I really love Shea - can I add more Shea Butter to this when I melt it?" Staff Answer We do not recommend adding additional butters and oils to any melt and pour soap base as it will significantly decrease your lather. I know it is not recommended to add oils or butters to MP soap as it reduces lather, but I don't mind a smaller amount of lather for the added benefits of Shea butter: it is so luxurious for dry skin and the oils have added benefits of their own. I love lavender essential oil, shea butter and coconut oil in my soaps.